Akshay Kumar is buying a property. It is said that they have different types of properties in Bollywood. Recently some of his apartments have also been added to this list about 10 days ago. These 4 luxurious flats are in a 38-storey building in Andheri (West). Recently,Akshay Kumar invest in real estate.And they buys a 4 Luxury Flats. 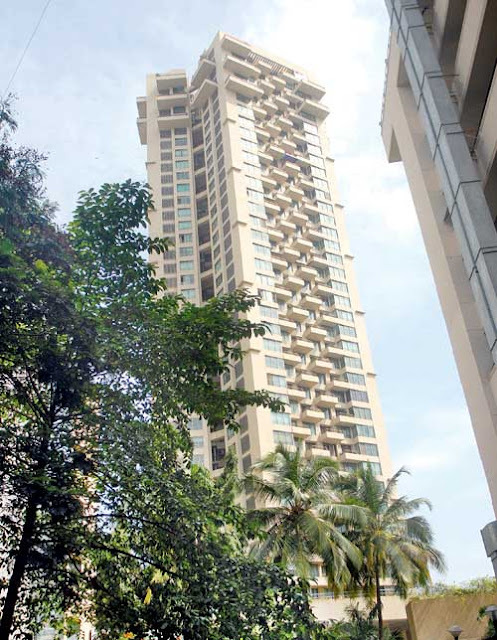 Akshay Kumar currently live in an apartment located in Juhu,with his wife Twinkle, son Aarav and daughter Nitara .These seasing apartments are crores of rupees. They have a duplex flat in Bandra too. They also invested in property in Goa. According to the Information, Bollywood Actor Akshay Kumar purchased 4 flats on the 21st floor in Transcon Triumph, located on the New Link Road on Andheri (West) on Oberoi Springs on November 1. These are all flat 2,200 square feet and have been registered in the name of Akshay Kumar Bhatia. The price of each flat is being mentioned as 4.5 crores. The facilities in Transcon Triumph are jogging park, swimming pool, infinity dac, barbecue corner, fitness center, children's play area and multipurpose court.The Transcon Triumph is a luxury project and flats worth 35 million to 10 million rupees. Akshay Kumar, the famous actor named in the Indian Film Industry.and he bought four big flats in a 38-storey luxury tower built in Andheri (west) of Mumbai. According to media information, the cost of each flat is Rs 4.5 crore.